Going out to dinner? Your pets don’t have to stay home. 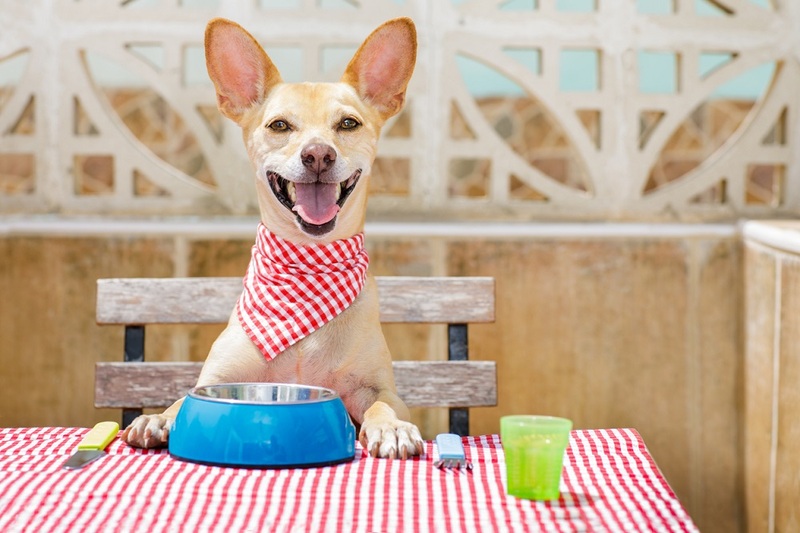 Take them with you to these pet-friendly restaurants. This restaurant serves New American cuisine in a relaxed, casual setting. The menu consists of wings, crispy egg rolls, fried chicken sandwiches, and other delectable treats. Visit during Happy Hour and sample their martinis and appetizers. The restaurant commands spectacular views of Cleveland’s skyline, making your meal a memorable one. Momocho is considered one of the best taquerias in Cleveland. The restaurant also offers Mexican-inspired dishes like smoked trout guacamole and tempura fried Chile relleno. The décor, comprised mostly of skeleton drawings, ought to give you and your date something to talk about. Feast on fresh seafood at the Alley Cat Oyster Bar. The restaurant serves clam chowder, shrimp cocktails, and all the shucked oysters you can handle. They also serve cocktails and wine by the glass, making it the ideal hangout spot on a Friday night. Your pets can join you at the patio, where you can enjoy the fantastic weather while you sip on some margaritas. This microbrewery boasts a wide selection of quality craft beers. They don’t serve food, but you can have some delivered from the neighboring pizza parlor. Enjoy craft beer in a fun and relaxing atmosphere. The staff is friendly and attentive, and the beer-centric décor is a visual treat. TownHall proudly offers a non-GMO menu that consists of popcorn tofu nuggets, chorizo-stuffed bell peppers, vegan chili, and other tasty offerings. Sit down for a lovely meal inside the café or have drinks and appetizers at the bar. There’s also a great patio area where you can hang out with your pets in tow. Scotti’s specializes in pizza, pasta, and calzones. Dinners are often served with a side of greens. Don’t miss their Parmesan dinner set, which comes with sautéed veal doused in marinara sauce and provolone cheese. The restaurant accepts reservations for groups of six or more. Latitude 41N is the go-to place for brunch in Cleveland. Flat iron steak, steel-cut oatmeal, and Belgian waffles are just some of their offerings. They also serve amazing breakfast cocktails. The restaurant’s cozy ambiance makes it perfect for casual get-togethers. Enjoy a great selection of craft beers in their tasting room. Platform Beer Co. also works with local chefs to offer unique food options – drop by and find a new set of food vendors each week. They also host special events like fundraisers and beer fests. Build your own tacos at Barrio Tremont, which serves Mexican fare like huevos rancheros and traditional guacamole. Margaritas and tequilas are also on the menu. Enjoy the fun atmosphere and bring your pets along to weekend brunch. This cozy neighborhood bar serves fantastic grilled cheese sandwiches with crispy fries. Enjoy their wheat beer, have a light lunch, and catch up with friends after a long week. Best of all, your pets get to join you. For more information about bringing your pets to Cleveland, visit the Michele McQuade Real Estate Group blog.